Nosferatu the Vampyre – an homage to, and riff upon, F. W. Murnau's 1922 film Nosferatu, eine Symphonie des Grauens – which is itself a copyright-violating reconstruction of Bram Stoker's Dracula – is an art-house treatment of a classic tale of gothic doom. Herzog restores some of the original character names, including the Harkers and Dracula's, but he mostly cribs his shots and angles from the Murnau version; by doing this, he executes an interesting reintegration of two divergent versions of the same mythology. 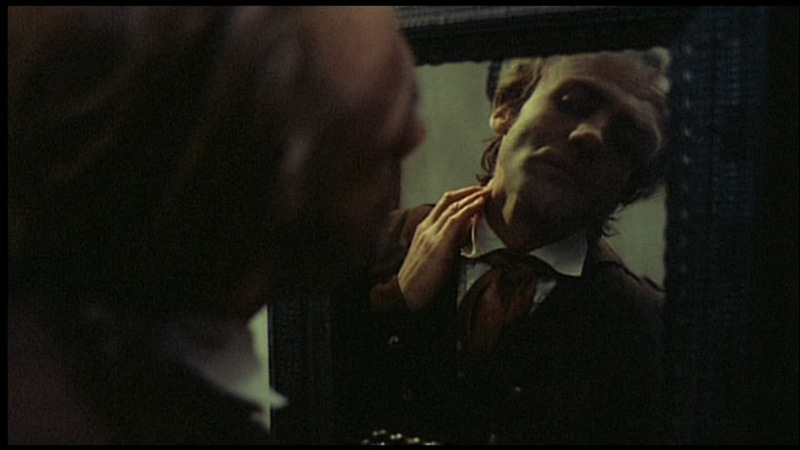 Of course, being Warner Herzog, collaborating with Klaus Kinski, he also manages to turn this mythology into a film that's challenging and personal, structured around three interwoven destinies: Jonathan Harker, his wife Lucy, and Count Dracula. 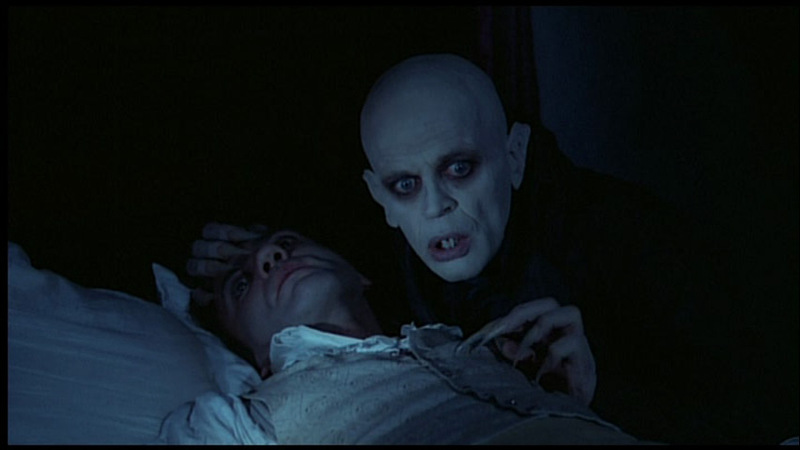 Nosferatu provides a shining example of one of Werner Herzog's greatest skills – the skill of constructing a distinctive space where his narratives can play out. 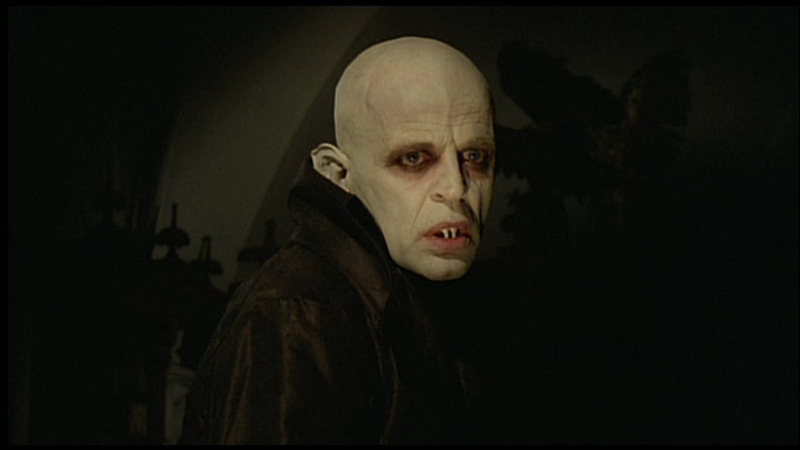 Stroszek, with its barren and heartless middle America; Aguirre, with its fetid, hostile, alien jungle; Fitzcarraldo, with its Amazonian spiritual labyrinth; and especially Nosferatu the Vampyre, which is a constant exercise in world-building. Herzog starts with the sanitary but uneasy atmosphere of Wismar, an enclosed pocket of peaceful civilization, and later contrasts this with the apocalyptic emptiness of the outside world. This is the world of the Carpathian Mountains, riddled with vagrant encampments, forbidding canyons, and vast, empty tundras. These are the breathtaking landscapes that inspire curiosity, but don't welcome intrusion. In fact, it seems that Wismar is the only stable human settlement in Nosferatu... every human outside the city limits is traveling, from the coachmen to the Roma in their caravans. They all seem to realize they're not wanted in the natural world, and they all know to stay mobile, passing under the radar of the unknown world. Countless barriers stand between them and Count Dracula, including Borgo pass, which threatens to swallow anyone who enters, and castle Dracula itself, which inspires near-panic from the tribe. They have no interest in trying to surmount these barriers, respectful as they are of the unknown. Unfortunately, Jonathan Harker has no such scruples. He agrees to go to Castle Dracula, ostensibly because he wants to buy a bigger house for Lucy, but this rationale is thin. After all, Lucy herself wants him to stay, and there's no evidence that she's the type of woman who would go for a pimped-out crib anyway. It seems that Harker is really following a call to danger that men know all over the world, a potent but sometimes self-destructive curiosity about the world, and about one's own limits. In pursuit of this goal, he seems determined to surmount every obstacle and spurn every warning, which is a bad idea when you're a character in a gothic-horror-romance from a famously cynical director. Lucy is the Cancer to Jonathan's Saggitarius, issuing warnings and acting on her intuition. She is intensely loyal and maternal, her first line being an admonishment of her husband's stress level. She takes up Nosferatu's challenge, attempting to hunt hum down in Wismar, but she appears to do this largely to protect Jonathan. Her foresight and spiritual awareness make her a different kind of outsider, the kind that sits alone in cemeteries and gazes out to sea. Lucy and Jonathan's relationship is best captured in their walk along the beach, before Jonathan leaves for the Carpathians: they walk on the boundary of the known world, loving one another as wanderers and outsiders, unwilling to fully surrender to mundane everyday life. This is both their power and their folly, as they will stir up the evils of the great beyond and provide them with a gateway to Wismar. It's easy to see Jonathan as a tragic hero of this apocalyptic narrative, but he's actually one of its supporting villains, along with Renfield (a disturbingly brilliant performance by Roland Topor). Harker may be hapless, in a sense, but he is far from innocent: his insolence in the face of so many warnings, his insatiable need to explore forbidden spaces, is the catalyst that leads to the destruction of his soul and his home. When the ship arrives in Wismar, it initiates a complete collapse of the idyllic town, brought on by plague-ridden rats and the long shadow of The Count. Like the plague he accompanies, the Count is viral, hitching rides with unsuspecting travelers; he is also parasitic, attracted to healthy bodies (the Harkers, the cargo ship, and ultimately Wismar itself) so that he can use their resources and destroy them. Wismar's collapse is orchestrated by Herzog like a ballet, choreographed with lines of coffins and deranged danses macabre in the empty town square. 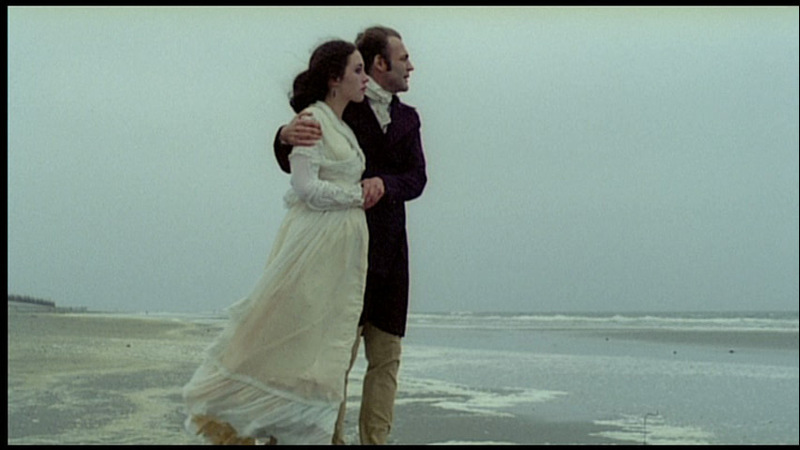 Herzog's Dracula is one-of-a-kind. Where Murnau's Nosferatu seemed twisted and remote and eerily absent, even when he was a scene's centerpiece, the Count is treated with close attention, imbued with a personality, and grounded within the rest of the film. As far as Vampires go, The Count seems oddly helpless, a slave to self-preservation. His voice is quiet and whispery, barely rising above the sighs of the wind when he waxes poetic on the nature of loneliness and the pain of immortality. He hitches a ride to Wismar on a doomed ship, apparently by vanishing into the substance of the rats and the soil he's transporting, never actually appearing until the ship is docked at its destination. His desperation shows in his junkey desperation in biting Jonathan's hand, and in his hesitation when he intrudes on Jonathan's room; he follows this by feeding on Jonathan and then locking him into the castle without trying to offer any sinister speeches or explanations, which comes across as a little passive-aggressive. 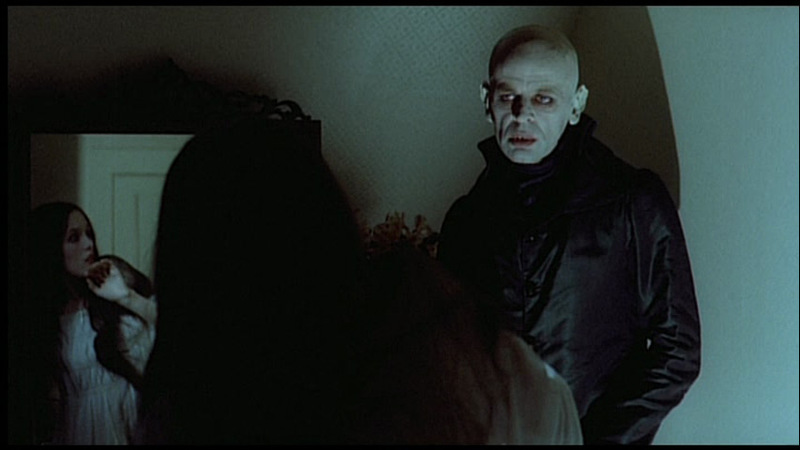 The midnight feeding in Jonathan's room is the most harrowing scene in Herzog's film, as the Count looms over Jonathan's bed, looking as inhuman as any human actor can be. I didn't have Intimate May in mind when I picked up Nosferatu the Vampyre, but there's something appropriate about it. The fear that Herzog evokes is, in fact, an intimate fear – far from the panic of Monster movies, or the jump-scares of serial killer horror, it's the anxiety and unease it creates to be very close to something aversive and dangerous. This is an effect of making Dracula so weak, desperate, and parasitic: when he hovers over Jonathan, or stands behind Lucy in her bedroom, we can practically smell him. The key scenes are filled with silence, devoid of soundtrack, empty of atmospheric sounds except for the wind and the occasional sound of plague-ridden rats. This creates an enclosed, decontextualized space for the action, whether it involves conversation or sucking blood. It's clear to me at this point that my diet of classic and art-house movies has changed my sensibilities. I'm now a lot more sensitive to individual shots, and more patient with them when they're held for a while. I'm also more appreciative of ambiguities of character, unforecasted changes in narrative and tone, and details that I once would have considered non sequiturs. 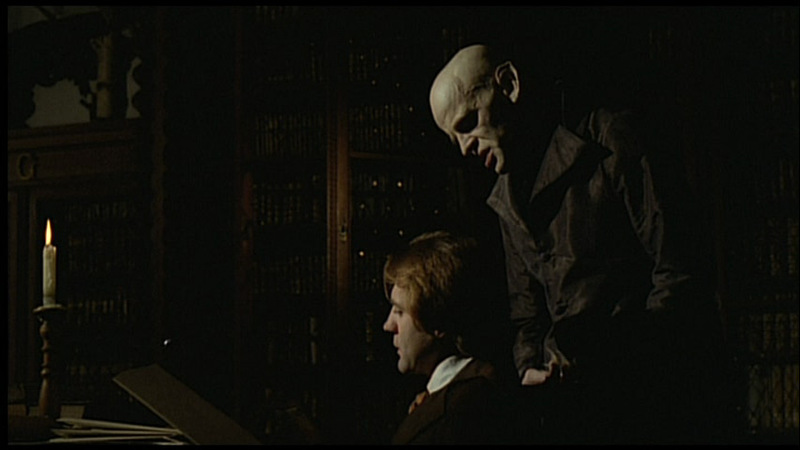 Before I'd undergone this shift in sensibility, Nosferatu the Vampyre probably would have just seemed kind of incomprehensible. However, watching it through this lens – listening for its subtle tensions and suggestions, responding to its unbalanced psychology and metaphysics – I think it was among my favorite of the horror-oriented films I've seen.